When you want a newer vehicle, yet you do not want to spend too much money on a brand new one, you should look for your options in a used car dealership. If it happens to be used Dodge cars for sale in Shoreline that you are after, you will always find what you need at a trust used car dealership like Carson Cars. A used Dodge is always going to be able to rise to the occasion and give you the ultimate when it comes to performance, styling and beyond. At Carson Cars, we always have at least 200 vehicles on the lot for you to choose from, including well-maintained and beautiful Dodge cars. Even if you do not have a particular model in mind, our friendly and professional customer service team will be happy to set you up with a few different options that you can shop through. Poor credit, bad credit, no credit? No matter whether you are a first time buyer or you have had shaky credit history, the in-house finance team that we offer at Carson Cars will be able to work with you every step of the way to give you exactly what you need in terms of a great loan that you can afford. 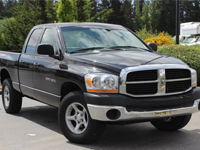 Buy your next vehicle with Carson Cars and shop used Dodge cars for sale in Shoreline. Call us (855)583-9356 today for selection and pricing information. Our team of professionals will always be on hand and we have a long history of helping customers just like you to find the perfect vehicle. Before you know it, you will be behind the wheel of a used Dodge car that you can all your own.